Mark Steven Szekely (54, Ponte Vedra) to nine years in federal prison for wire fraud. The Court also entered a money judgment in the amount of $454,972.65, the traceable proceeds of the offense, and ordered him to pay restitution to his victims in the same amount. 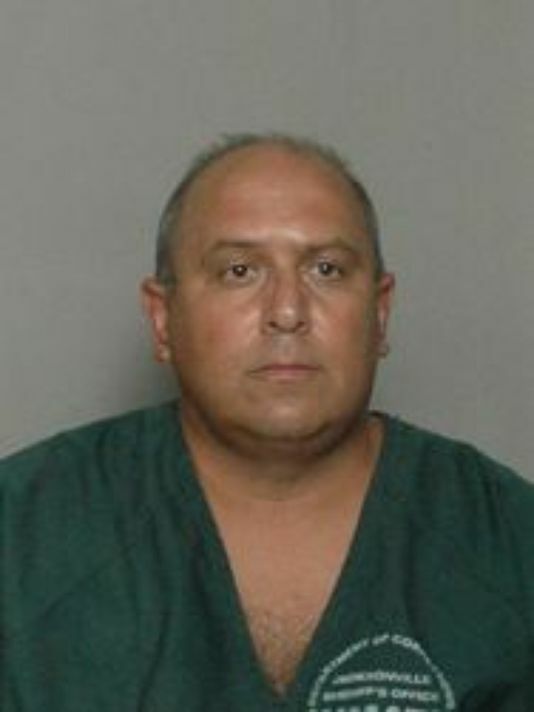 Szekely pleaded guilty on October 14, 2014. According to court documents and testimony presented during the sentencing hearing, Szekely conducted a scheme to defraud others in which he swindled at least 17 individuals out of $454,972.65. Among the victims were his friends, members of his church, his children’s teachers, and a 17-year-old high school student who had saved money from babysitting. As part of his scheme, Szekely represented that he was an accomplished author with connections to entertainment lawyers in New York City that could assist the victims with copyrighting, publishing, and/or producing their works into Broadway plays or films. In reality, Szekely had no such connections, and instead, fraudulently created a list of fictitious lawyers and other professionals. In addition, several of the victims were defrauded into investing in “annuities” tied to a book Szekely had written and was allegedly being produced into a movie. Court testimony established that Szekely had not worked for approximately 12 years and had supported himself and his family with the proceeds of his fraud. An Individual was sentenced for his role in illegal mortgage fraud kick-back scheme, which resulted in his and his co-conspirators fraudulently obtaining $3,000,000 in 12 fraudulent mortgage loans at Marina Oaks Condominiums. Jaime Sanchez, 43, was sentenced to 168 months in prison, followed by five years of supervised release. On October 29, 2014, Sanchez pled guilty to conspiracy to commit mail and wire fraud affecting a financial institution. Sanchez had been previously charged in connection with fraudulently obtaining mortgages for the purchase of 12 condominium units at Marina Oaks Condominiums in Fort Lauderdale, Florida. According to the indictment from January 2007 through September 2008, in the Southern District of Florida and elsewhere, Sanchez and others conspired to recruit individuals who would be willing to purchase condominium units at Marina Oaks Condominiums. These buyers were promised a “buyer’s incentive” which in actuality was an indirect payment or “kick-back” to the buyers not disclosed to the lenders or reflected on any of the closing documents. Sanchez and others would then prepare materially false and fraudulent mortgage applications for the buyers on the Uniform Loan Application Form 1003 which contained false and fraudulent information as to material facts about the borrower’s credit worthiness in order to obtain mortgage money from lenders to fund the purchase of the Marina Oaks Condominiums. 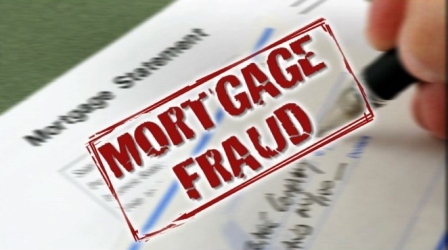 The conspirators would create false and fraudulent documents to support the mortgage applications. Once the loans closed, the conspirators would fraudulently and unlawfully divert portions of the mortgage proceeds for their own personal use and benefit. Lawrence B. Iken, DPM, and his company each pled guilty to charges involving the submission of false documents and reimbursement claims related to podiatric services purportedly provided by Dr. Iken, from 2006 through July 2014. As part of his plea, Dr. Iken has agreed to a money judgment of $999,170, which represents the amount of reimbursement that he and his company received for the health care claims. According to court documents, Dr. Iken and his company, Lawrence B. Iken, DPM, LLC., have offices in Manchester and Creve Coeur, MO. Dr. Iken is a sole practitioner who provided podiatry services to patients at his Manchester and at his Creve Coeur offices and at various nursing homes in the St. Louis area. In addition to his office practice, Dr. Iken is an independent contractor for Preferred Podiatry Group, Inc. (PPG). According to its website, PPG provides podiatric care to residents in nursing homes and other long term care facilities in Missouri and five other states. As a PPG contractor, Dr. Iken provided services to nursing home residents on Wednesdays and Thursdays. With his plea, Dr. Iken admitted that on thousands of occasions, he billed Medicare, Medicaid and private insurance companies for the incision and drainage of abscesses and hematomas when he actually only clipped the toenails of the patients. 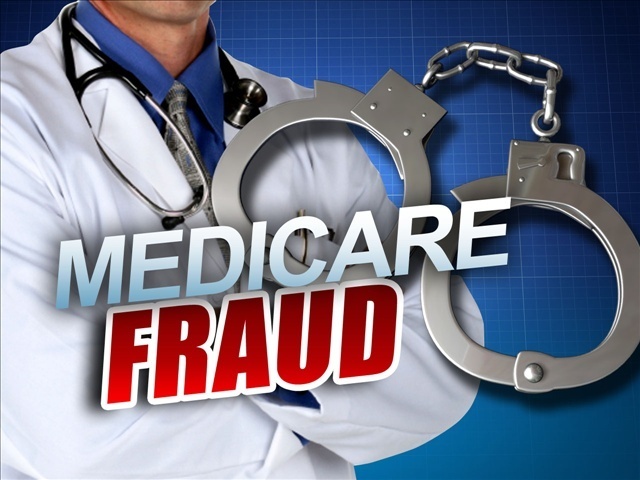 Iken, 65, of Chesterfield, and his company each pled guilty to one felony count of healthcare fraud before United States District Judge Ronald L. White. Sentencing has been set for April 17, 2015. 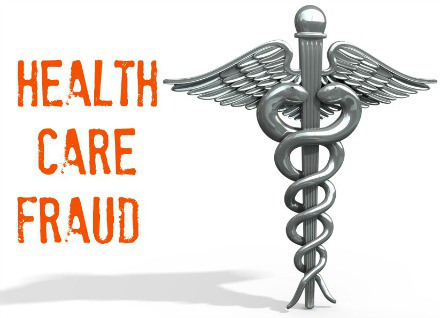 The two physician owners of a Houston-area mental health clinic were sentenced to 148 months and 120 months respectively for their roles in a $97 million Medicare fraud scheme. A group home owner who sent residents to the clinic in exchange for kickbacks was also sentenced to 54 months in prison for her role. Physicians Mansour Sanjar, 81, and Cyrus Sajadi, 67, the owners of Spectrum Care P.A., a community mental health clinic, were each convicted following a jury trial on March 12, 2014, of conspiracy to commit health care fraud and conspiracy to pay and receive kickbacks, as well as related counts of health care fraud and paying illegal kickbacks. Chandra Nunn, 36, a group home owner, was convicted of conspiracy to commit health care fraud and conspiracy to pay and receive kickbacks, as well as related counts of receiving illegal kickbacks. In addition to the prison sentences, U.S. District Judge Vanessa D. Gilmore of the Southern District of Texas ordered Sanjar and Sajadi to pay $8,058,612.39 in restitution, and Nunn to pay $1,885,667.41 in restitution. Co-defendants Adam Main, Shokoufeh Hakimi, Sharonda Holmes and Shawn Manney were also convicted and are scheduled to be sentenced on Jan. 20, 2015. According to evidence presented at trial, Sanjar and Sajadi orchestrated and executed a scheme to defraud Medicare beginning in 2006 and continuing until their arrest in December 2011. Sanjar and Sajadi owned Spectrum, which purportedly provided partial hospitalization program (PHP) services. A PHP is a form of intensive outpatient treatment for severe mental illness. The Medicare beneficiaries for whom Spectrum billed Medicare for PHP services did not qualify for or need PHP services. Evidence presented at trial showed that Sanjar and Sajadi signed admission documents and progress notes certifying that patients qualified for PHP services, when in fact, the patients did not qualify for or need PHP services. Sanjar and Sajadi also billed Medicare for PHP services when the beneficiaries were actually watching movies, coloring and playing games, which are not activities covered by Medicare. Evidence presented at trial also showed that Sanjar and Sajadi paid kickbacks to group care home operators and patient recruiters, including Nunn, Holmes and Manney, in exchange for delivering ineligible Medicare beneficiaries to Spectrum. In some cases, the patients received a portion of those kickbacks. According to evidence presented at trial, Spectrum billed Medicare for approximately $97 million in services that were not medically necessary and, in some cases, not provided. Illusions collapse! The collapse under their own weight governed by the law of gravity. If you pile too much bullsh*t on less than a solid foundation you will find yourself one day in a stinky pile of dung. That, today, is where Lance Armstrong finds himself. And the reality is – once you’re in it, it’s hard to dig your way out and ever get rid of the stench! Heralded as a true American hero, Lance Armstrong was revered as an icon – a man who beat cancer, was at the top of his athletic career and a pay-it-forward guy with his non-profit foundation Livestrong. 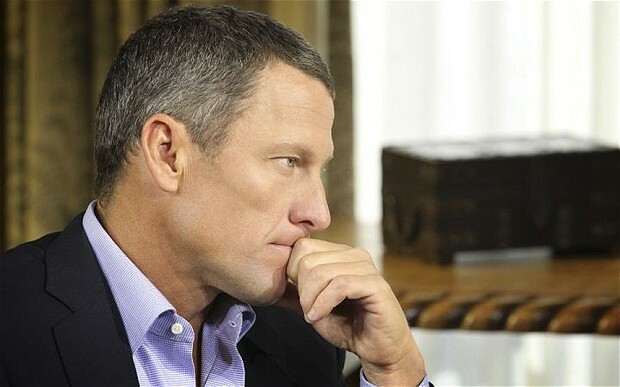 Today Armstrong’s past successes are dwarfed by his admission that he was a liar and bully. 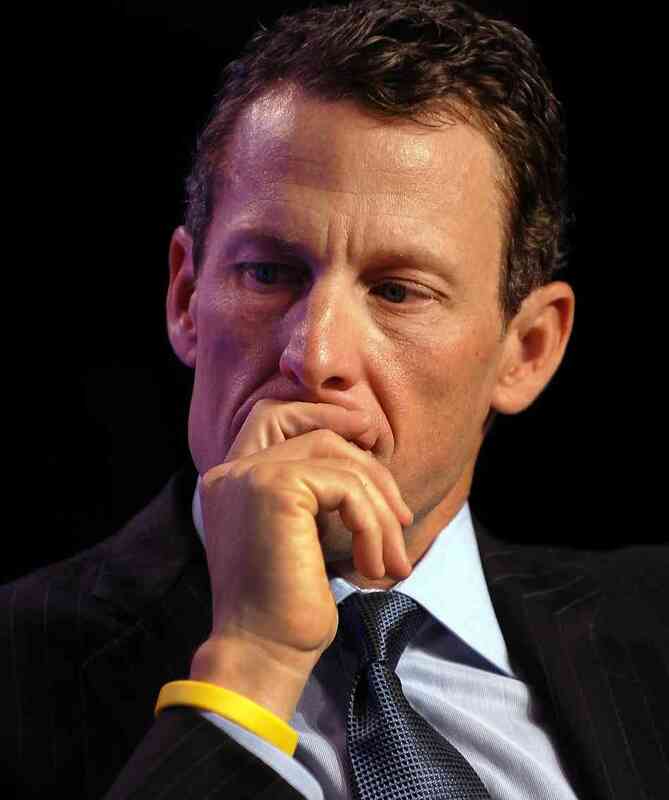 But is Armstrong’s story any different that those of lesser know folks who find themselves in a Collapse of Ethics? The patterns are the same only the names and circumstances change. Appearing tense, Armstrong told Winfrey it was a happy day for him to be there with her. He described his years of denial as “one big lie that I repeated a lot of times.” He had races to win and a fairy tale image to keep up. Armstrong reminisced on his storied past of being a hero who overcame cancer, winning the Tour repeatedly, having a happy marriage, children. “It’s just this mythic, perfect story, and it isn’t true,” he said. It was impossible to live up to it, he said, and it fell apart. What Lance stated is common – not easy – but common for those of us who build a house of cards only to watch it collapse under the weight of unethical choices that were compounded by lies and more lies. The question is – what are the patterns that can creep into our lives that allow someone who knows better to make unethical choices? There is a pattern – a clear pattern of behavior – that is not specific to a person, but rather specific to unethical behavior and it starts with NEED. And, while the word – NEED – is wide open to interpretation, the emotion connected with it is rather simple. Defined as a physiological or psychological requirement for the well-being of an organism, NEED is that elusive thing driven by an internal desire connected with an emotion that drives behavior. To be clear…I’m no psychologist, but there is no doubt that there was an internal emotional desire that went unfulfilled that contributed to the choices that Lance Armstrong took. Oprah Winfrey: Did you ever take banned substances to enhance your cycling performance? OW: Was one of those banned substances EPO? OW: Did you ever blood dope or use blood transfusions to enhance your cycling performance? OW: Did you ever use any other banned substances such as testosterone, cortisone or Human Growth Hormone? OW: In all seven of your Tour de France victories, did you ever take banned substances or blood dope? OW: Was it humanly possible to win the Tour de France without doping, seven times? Notice…while admitting guilt a key factor emerges…Lance believed that he could not win without acting unethically in his sport of choice. In fact, he acknowledged that while he “didn’t invest the culture” he “didn’t try to stop the culture.” In other words, Armstrong, like many others who act out unethically, took the approach that it was alright to take illegal or unethical actions (or both) as long as it was the norm! But back to NEED. For Armstrong to win he believed that he NEEDED to use performance enhancing drugs! Winning was important and winning the old fashioned way didn’t seem to be an option. OW: You said to me earlier you don’t think it was possible to win without doping? OW: Usada issued a 164-page report. CEO Travis Tygart said you and US Postal team pulled off the most sophisticated, professional and successful doping programme sport has ever seen. Was it? OW: What was the culture? Can you explain the culture to us? OW: Was everybody doing it? That’s what we’ve heard. Was everybody doing it? What was Lance’s NEED? Well he says it best in one of his comment to Oprah! Meanwhile – YOUR COMMENTS ARE WELCOME! Below is a transcript of the first part of the interview with Oprah Winfrey by Lance Armstrong. OW: For 13 years you didn’t just deny it, you brazenly and defiantly denied everything you just admitted just now. So why now admit it? OW: You were defiant, you called other people liars. OW: Was it hard to live up to that picture that was created? OW: But didn’t you help paint that picture? OW: How were you able to do it? Walk me through it. Pill deliveries, blood in secret refrigerators… how did it work? LA: “I viewed it as very simple. There were things that were oxygen-supplying drugs that were beneficial for cycling. My cocktail was EPO, but not a lot, transfusions and testosterone. LA: “No. Testing has evolved. Back then they didn’t come to your house and there was no testing out of competition and for most of my career there wasn’t that much out-of-competition testing so you’re not going to get caught because you clean up for the races. “It’s a question of scheduling. That sounds weird. I’m no fan of the UCI but the introduction of the biological passport [in 2008] worked. “I’m paying the price and I deserve this. That’s okay. I deserve it. OW: When you placed third in 2009, you did not dope? OW: Does that include blood transfusions? No doping or blood transfusions in 2009… 2010? OW: Were you the one in charge? OW: If someone was not doing something to your satisfaction could you get them fired? OW: One former team-mate, Christian Vande Velde, told Usada you threatened to kick him off the team if he didn’t shape up and conform to the doping programme? LA: “That’s not true. There was a level of expectation. We expected guys to be fit to be able to compete. I’m not the most believable guy in the world right now. If I do it I’m leading by example so that’s a problem. OW: Were you a bully? OW: Is that your nature – when someone says something you don’t like, you go on attack? Have you been like that your entire life – 10-years-old, 12-years-old and 14-years-old? OW: How important was winning to you and would you do anything to win at all costs? OW: To keep on winning it meant you had to keep taking banned substances to do it? Are you saying that’s how common it was? OW: When you look at that do you feel embarrassed, shame, humble, tell me what you feel? OW: Was there happiness in winning when you knew you were taking these banned substances? OW: Was it a big deal to you, did it feel wrong? OW: It did not even feel wrong? OW: Did you feel bad about it? OW: Did you feel in any way that you were cheating? You did not feel you were cheating taking banned drugs? OW: But you knew that you were held to a higher standard. You’re Lance Armstrong. OW: What do you mean by you ‘didn’t know’? I don’t think people will understand what you’re saying. When you and I met a week ago you didn’t think it was that big? How could you not? OW: You never offered it [performance-enhancing drugs] to them [team-mates], suggested they see Dr Michele Ferrari? OW: Was he the leader and mastermind behind the team’s doping programme? How would you characterise his influence on the team? OW: David Walsh of the Sunday Times in London said your relationship with Ferrari immediately dialled suspicion on you. Can you see that relationship was reckless? OW: What about the story [masseuse] Emma O’Reilly tells about cortisone and you having cortisone backdated – is that true? OW: What do you want to say about Emma O’Reilly? You sued her? OW: When people were saying things – Walsh, O’Reilly, Betsy Andreu [wife of former team-mate Frankie Andreu] and many others – you would then go on the attack for them, suing and know they were telling the truth. What is that? OW: Have you called Betsy Andreu? Did she take your call? Was she telling the truth about the Indiana hospital, overhearing you in 1996? Was Betsy lying? OW: Is it well with two of you? Have you made peace? OW: [With] Emma you implied the ‘whore’ word. How do you feel about that today? Were you trying to put her down? Shut her up? OW: This is the clip I just cannot reconcile [winning speech after seventh Tour de France win]… What were you trying to accomplish there? LA: “I’ve made some mistakes in my life and that was a mistake (standing on podium after winning 2005 Tour de France and saying “believe in miracles”). OW: Were you particularly trying to rub it in the faces of those who came out against you and say they were lying – were you addressing them? What were you saying that for? OW: You said dozens of times in interviews you never failed a test. Do you have a different answer today? OW: What about the Tour de Suisse [in 2001]? LA: “That story isn’t true. There was no positive test. No paying off of the lab. The UCI did not make that go away. I’m no fan of the UCI. OW: You made a donation to the UCI and said that donation was about helping anti-doping efforts. Obviously it was not. Why did you make that donation? OW: Many people feel the real tipping point was [former team-mate] Floyd Landis’s decision to come forward and confess? OW: Do you remember where you were when you heard Floyd, a former team-mate and protege, was going to talk? OW: Did you rebuff him, would you say you rebuffed Floyd? Did you rebuff him after he was stripped of his Tour win, did you just blow him off? OW: So that was the tipping point. And your comeback was also a tipping point. Do you regret coming back? OW: You would have gotten away with it? OW: Did you not always think this day was coming? Did you not think you would be found out at some point, especially as so many people knew? OW: When the Department of Justice dropped the case, did you think ‘now finally it’s over, done, victory’? You thought you were out of the woods; the wolves had left the door? OW: What was the reaction when you learned Usada was going to pick up the case and pursue the case against you? LA: “My reaction was to fight back. I’d do anything to go back to that day. I wouldn’t fight. I wouldn’t sue them. I’d listen. I’d say guys, granted I was treated differently to other guys. Treated differently in that I wasn’t approached at the same time as other riders. OW: Will you co-operate with Usada to help clear up the sport of cycling? OW: When you heard that [former team-mate] George Hincapie had been called to testify by Usada, did you feel that was the last card in this deck, the last straw? Chuck Gallagher, international Business Ethics expert was the featured keynote speaker at the Medtronic – Culture of Ethics and Integrity Meeting in Geneva, Switzerland on December 11th and 12th, 2012. Focusing attention on the “Human Side of Ethics” Rob ten Hoedt selected Chuck because of his unique background and ability to deliver a compelling ethics message – one that will be remembered long after the meeting is over. Rob ten Hoedt is the Senior Vice-President & President, EMEA & Canada, a role he has been in since 2009 and in which he is responsible for all sales and distribution of Medtronic products and therapies across these regions. He is a member of the Company’s Executive Committee (ExCom). Speaking and consulting with companies worldwide, you may have seen Chuck on television, or heard him on CNN, CBS or NPR radio programs. His business insights are sought after for his strong position on ethics and sales leadership. Chuck Gallagher’s focus is business – but his passion is empowering others. His unique presentations, from Expert Sales Training to Effective Business Ethics clearly demonstrate he brings something to the platform that isn’t often found in typical business speakers. Chuck’s personal experience in building businesses and sales teams while leading companies provides a practical and powerful framework for success. Currently COO of a National Company and former Sr. VP of Sales and Marketing for a Public Company, Chuck may have found a sales niche early on in life selling potholders door to door, or convincing folks to fund a record album of his musical performance at age 16 (and yes those were the days when an album was made of vinyl), but it was the school of hard knocks that provided a fertile training ground for Chuck’s lessons in Success. Described as Creative, Insightful, Captivating, and a person that “Connects the Dots” between behavior, choices and success, Chuck Gallagher gives his clients what they need to turn concepts into actions and actions into results. It has been said that with Chuck you have an industry professional sharing practical tested and time proven methods that can enhance personal and professional performance with a clear focus on Ethics. What Chuck shares in his presentations – whether training, keynotes or consulting – are understandings of not only “How To”, but also “what motivates behavior” – behavior of individuals which create personal and professional success. Chuck Gallagher is the founder of the Ethics Resource Group and for information about Chuck’s Ethics presentations, he can be contacted via http://chuckgallagher.com, email at chuck@chuckgallagher.com or phone 828.244.1400. Chuck Gallagher is represented by Eclectic Media Productions a national PR firm. White Collar Crime - So You Think You Invested Your Money? Mark Wayne Jaster Sentenced to Prison for Massive Fraud Scheme! Jennifer Fox of Rapid City, SD - Guilty and sentenced to 8 Years in prison! Come on - what were you thinking?